Advancement in technologies has made the lives of people easier and comfortable. Many types of equipments are available in the market now, which enumerates the master piece, informing us all about the wonders of technology in various fields. One major advancement has been noticed in the field of furniture industry and modern home appliances. One of the most popular technologies flooding the market is the robotic vacuum cleaners. These categories of home appliances are involved in furniture industry. The latest released Robotic vacuum cleaner is integrated with the most advanced techniques. These vacuum cleaners are compatible enough to clean each and every corner of the house within few minutes. Neato XV-11 is the latest integrated technological vacuum cleaner. With the release of this cleaner, the culture of modernising the furniture industry has been increased. Integrated Vacuum cleaner costs about $ 399.99 works with fine sensors. These sensors enable the vacuum cleaner to run on a logical path and clean the house. These sensors also allow the cleaner to detect the dirty corner and areas of the house. These sensors enable the vacuum cleaner to focus upon the dirty spots. This latest robotic vacuum cleaner is enabled with high performance speed which works in uniform back and forth motion precisely. It picks and cleans each and every tiny dirt on the tables, sofas under the beds etc. It works on all types of carpets and modern floor. Its sensors navigate them to all the rooms with healthier and clean air. The vacuum cleaner is comprised with computerised commands to function well in all the areas of the house by vacuum and clear all the hardest reach areas of the house. In fact, the integrated technology performs so well that only one percent charging also cannot slow down the activity till the whole battery is wiped off. The cleaner can be easily updated by accessing internet through various websites to enable it to detect the objects at your home easily and navigate itself by programs to keep your home dust free. It is embedded with a large dirt bin with high power suction ability to pick up the dust and debris matter from your house. Self docking or the re-calling powers allows the robot to return perfectly to the base with fully loaded recharges. 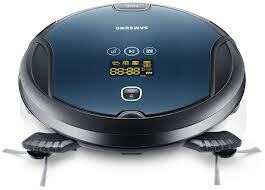 There are many robotic vacuum cleaners in the market to choose from. You should focus on some tips before purchasing them. You can take some reviews on internet before buying them and select the best one. Online stores will enable you to experience the fun and modern method of cleaning the house and unreachable areas.